and preventative measures is the mission. >> we don't take chances. 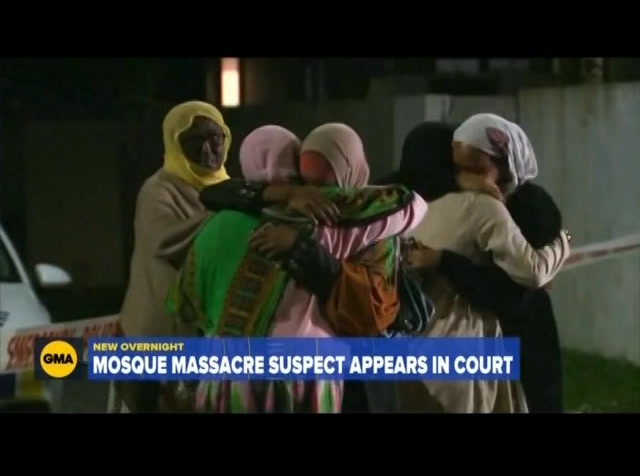 >> reporter: the president of the evergreen islamic center says right now any place of worship for muslims is likely the safest place to be. during friday night prayer, police were close. sayed says private and undercover security also present. 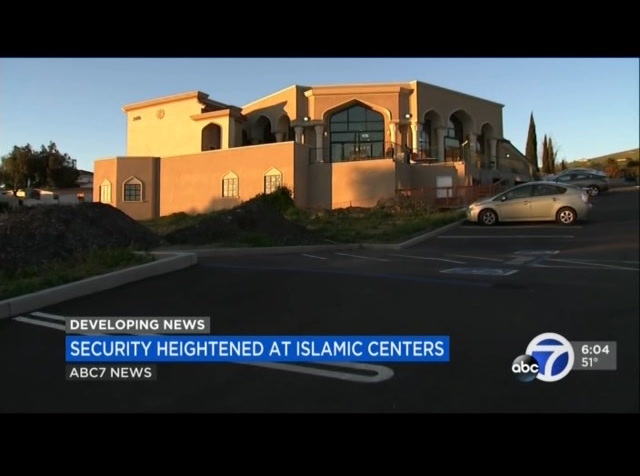 >> there was security all around the perimeter, and also we have surveillance camera. anybody who comes in, goes out, they are captured. 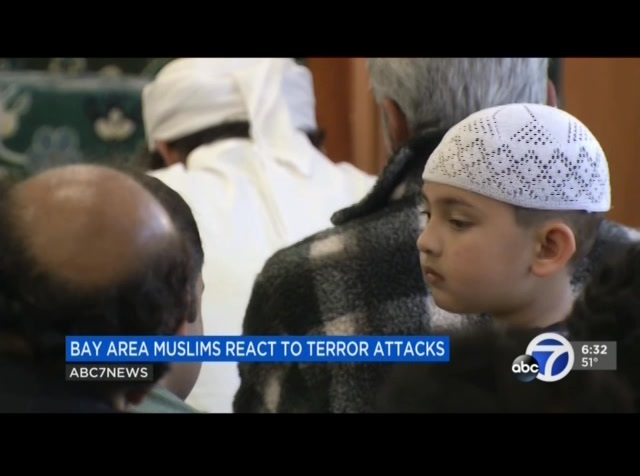 >> reporter: measures many hope will keep the muslim community focused on prayer and peace. >> don't let things go to your head because there are people out there who don't understand really in depth what islam is. 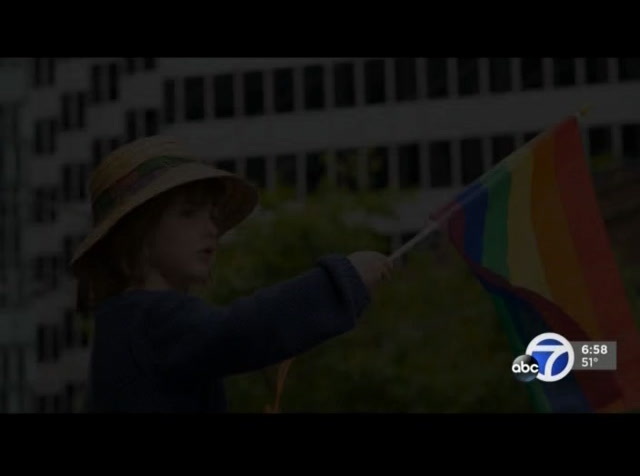 >> reporter: there are several vigils in the south bay planned through monday. for that information visit abc7news.com. in santa clara, i'm amanda del castillo, abc 7 news. 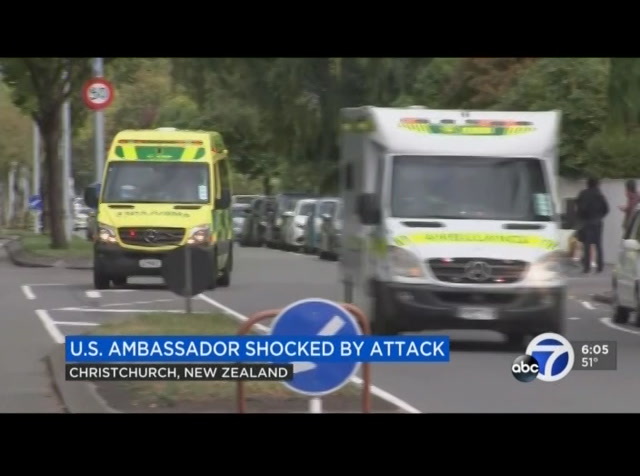 >> and abc 7 news spoke with america's top diplomat in new zealand. ambassador scott brown described how the u.s. is helping its long-time ally and friend. >> we have a security intelligence relationship that's been going on for decades, so that free flow of information happens on a daily basis and it has been increased over the last 24 hours. we wll be there and offer and provide any and all assistance as we have done and will continue to do. >> ambassador brown expressed shock over what happened and described how violence and crime are extremely rare in new zealand. >> there's not a heck of a lot of hate crime problems here, or crime problems for that matter. with 4.6 million people, everyone pretty much knows everybody. >> some facebook users actually saw a live stream of the terror attack captured by a camera that the suspect was wearing, but facebook only took it down after being alerted by police. that alarmed one local expert on media ethics. >> their attention has primarily been getting markets onto product and maximizing profits rather than the safety issues. and i think we've seen time and time again the safety issues have to start taking precedent. >> in the future upgrades to artificial intelligence could help detect violence on social media. another idea includes a panic button for users that would resemble the like button. when you click it, the site host would be notified. stay with abc 7 as we stay on top of this developing news. 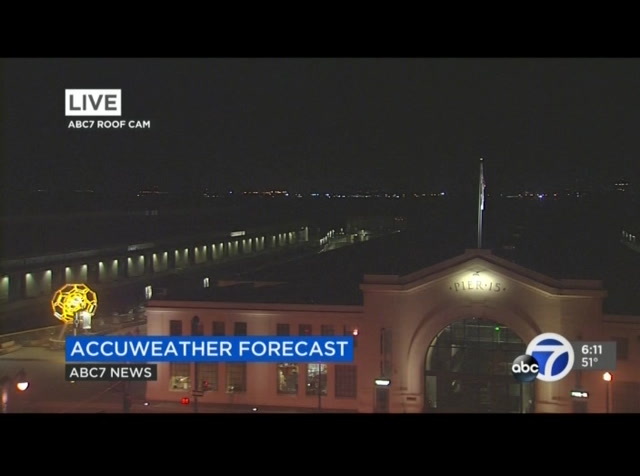 we'll bring you the latest on abc7news.com and the abc 7 news app. you can enable push alerts to get new information as it comes into the newsroom. developing news out of los angeles county. firefighters have knocked down a massive fire that broke out at a phillips 66 oil refinery in carson. crews battled the flames from all sides for more than two hours before containing those flames. officials say a seal failure in a crude oil pump is to blame. one person was treated for an unknown injury. >> a teenage girl is fighting for her life after being hit by a car near san francisco's lake merced. police say the 14-year-old and her mother were in a crosswalk with their dog when a car hit them. the mother is expected to recover from her injuries. investigators say the driver stayed at the scene and cooperated with police. dangerous streets have forced san francisco to take action. following a cyclist's death, parking along howard street has been removed to expand the bike lane, but activists say that's not enough. they have identified two other streets, fulsom and the embarcadero that need immediate improvements. abc 7 news reporter luz pena has that story. 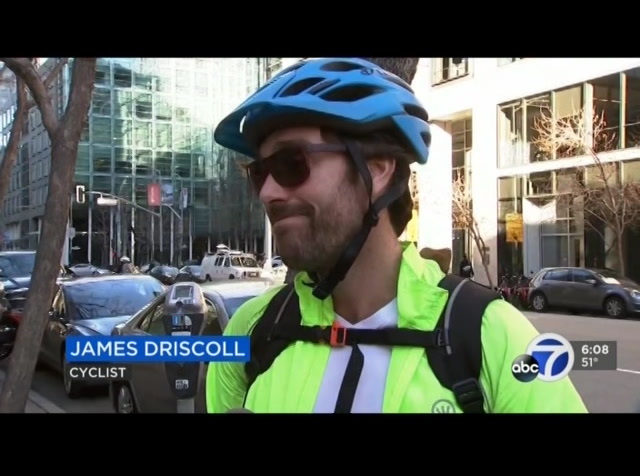 >> reporter: in single file, over a hundred cyclists got very close to cars. they say this is nothing compared to what they go through on a daily basis without protected bike lanes. >> i was hit, fortunately not too bad, in a hit and run. to allow temperatures to warm up. i'll have your neighborhood forecast coming up. >> all right, thanks so much. also next, it's a peninsula home that as you can see is hard to miss. find out why the so-called flintstones house is being called a public nuisance. andrew yang says he is the person to beat donald trump in 2020. coming up next, we are taking a look at his platform. but prevagen helps your brain with an ingredient originally discovered... in jellyfish. 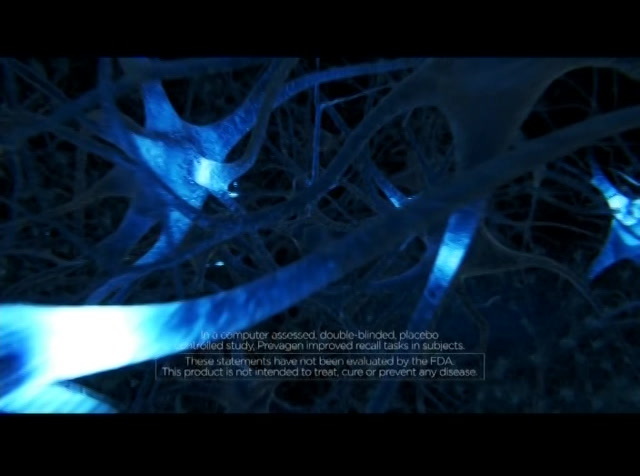 in clinical trials, prevagen has been shown to improve short-term memory. prevagen. healthier brain. better life. so you can say yes to the biggest selection of the season. yes! or stop and ask yourself, "can i afford both?" at these prices, oh, yeah. 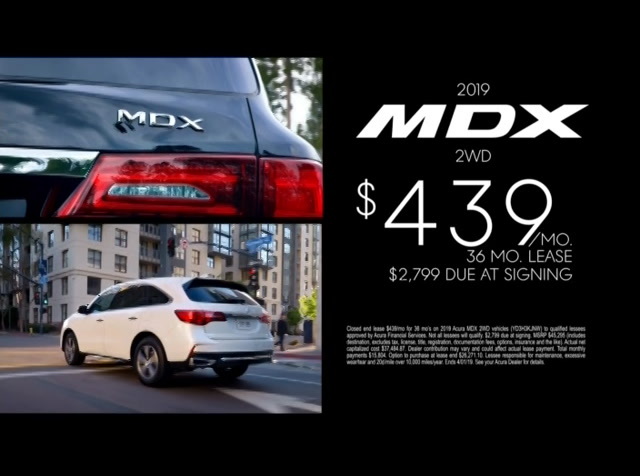 or find a look that's, like... wow ...at a price that's, like... whoa. that's yes for less. seriously, 20 to 60 percent off department store prices! more new dresses means more reasons to say yes. 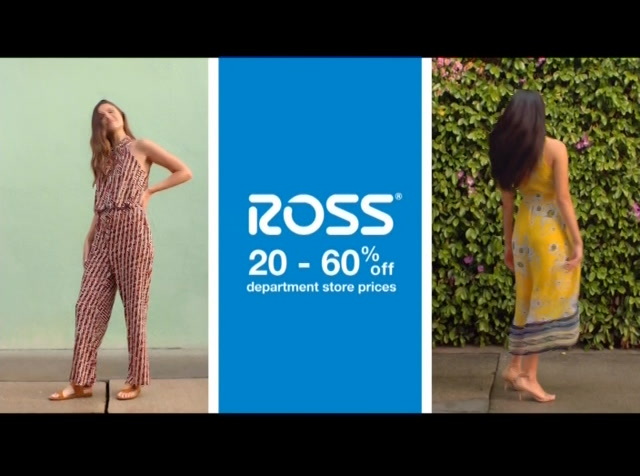 at the ross spring dress event. on now! yes for less. back in the day a candidate promised a chicken in every pot. now one is proposing money in your pocket. 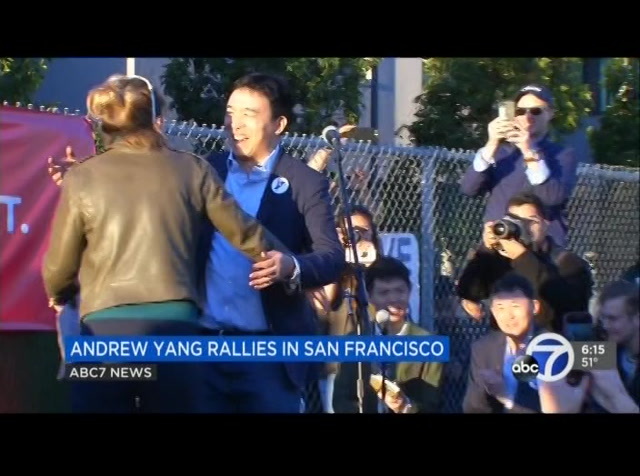 presidential hopeful andrew yang held a campaign rally in san francisco. 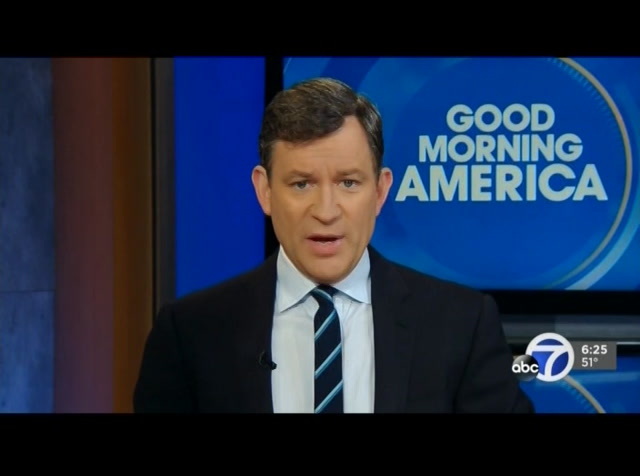 as abc 7 news reporter jobina fortson reports, he's proposing a universal future income. >> introducing, the future president of the united states, mr. andrew yang. >> reporter: a few weeks ago a lot of people in this crowd had no idea who this man is. >> how long have you known about andrew yang. >> since a podcast a couple weeks ago. 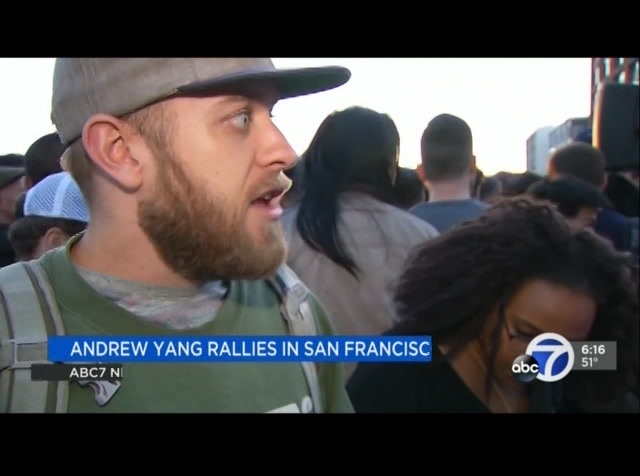 >> reporter: yang's campaign picked up serious steam after he appeared on a popular podcast making a case for universal basic income, or ubi. >> it's going to be a bipartisan effort. weaver going to get this across the finish line because it's something everyone can get excited about. >> reporter: yang is proposing the country set guaranteed payments of $1,000 per month to all u.s. citizens 18 or older. there. >> hey! >> after the pomp and circumstance, the real coordination began, a massive hole in the earth that would transform before our very eyes. >> the chase center really will follow those walls all the way around. >> each visit packed with new surprises. >> this is the first time i've actually been in the theater lobby of chase center. >> here we are. >> here we are, we're in the lobby. >> i love what you've done with the place. it's beautiful. >> as the chase center grew, abc 7 was there to experience it all. >> i'm not sure anybody else has video of this yet. >> what are we looking at here? >> look at that. well, you're looking at center court. we are in coach kerr's office. >> we were the very first station to walk out onto the court, to sit in the seats, and the first to learn of its buried secrets. >> a rick berry bobblehead will be underneath the fricking foundation supposedly near where the free-throw line is. that was pretty cool of them to do that. >> now it's entombed in cement. 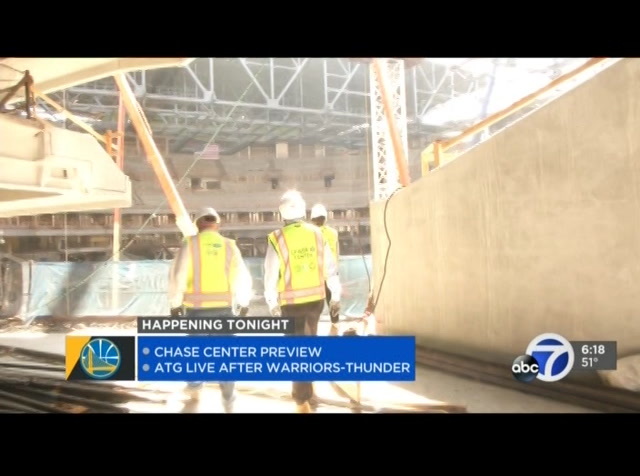 >> now with the chase center six months away from completion, we're proud to say abc 7 is the first station to ever broadcast a live show from inside the new home of the warriors. >> that. 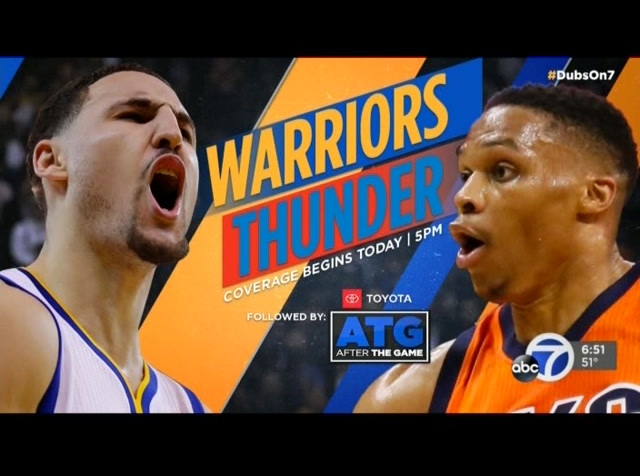 toyota after the game is immediately after the warriors/thunder game at 8:00 p.m. only on abc 7. coverage begins at 5:00 p.m. with nba countdown. meteorologist frances dinglasan joins u now with our accuweather forecast. frances. >> all right, kate. it already feels like spring, although spring is a few days away. here's live doppler 7 showing you how quiet it is out there right now. we have high pressure building and this is going to bring us some warm temperatures. also notice how calm it is. look at that flag not moving at all. and the water is calm. this offshore flow will have temperatures climbing into the low 70s today. 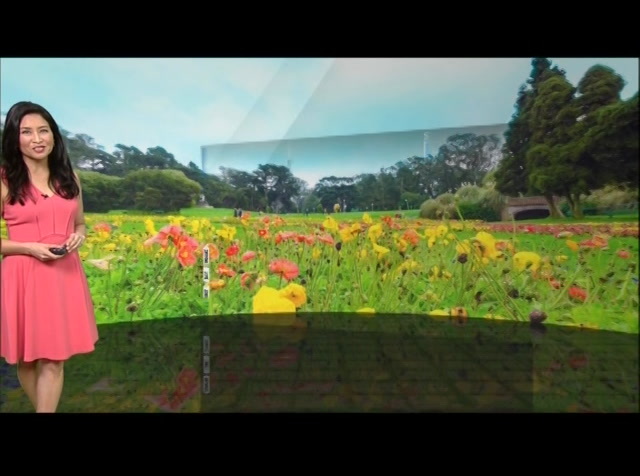 san francisco is currently at 49. san jose 46. morgan hill cooler at 41.
spring-like temperatures. we have the luck of the irish as temperatures bump up a couple more degrees for tomorrow. the warmth peaks on monday. inland areas in the upper 70s around the bay, mid-70s, at the coast upper 60s. so we've got several beach days ahead. then light rain returns tuesday afternoon into evening, but we're talking just a few hundredths of an inch. some spring sprinkles for the start of spring on wednesday morning, but most of it will be dry, near average thursday and friday. >> enough warm weather to thaw us out before temperatures drop again, right? >> yeah, we can enjoy the sunshine and the warmth because it's a well-deserved break from all the rain we've gotten. >> looking forward to it, frances, thanks. just ahead the dream is about to begin on "american idol." it is clear one bay area singer is already a standout. paying tribute to the paradise paying tribute to the paradise high school baseball team today. my name is jedda and my favorite thing about the grilled chicken club is the multigrain bun. it's toasted and then you get the cheese. so if you but really slowly you can literally taste every level of the sandwich. i don't eat very slowly, but if you do. my name is leslie. 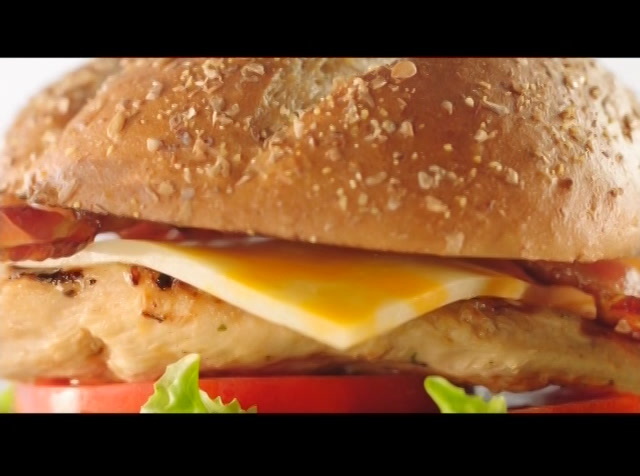 well i love the grilled chicken club sandwich because the grilled chicken. like, it's actually been on a grill. as soon as you grab it to go take your first bite, it's like just like, "psscheew". insanely good. dearest britain. we love you. maybe it's your big hearts. your sense of style. welcome to ba100. (ba100, you're clear for take-off). how you follow your own path. you've led revolutions... of all kinds. yet you won't shout about it. it's just not in your nature. instead, you'll quietly make history. cake. beds. poetry. trouble. love! hope! and rather a lot of tea. the best of britain, from the moment you step on board. that. it's destiny. >> reporter: various police departments here in the east bay told us some will keep up extra patrols indefinitely. in walnut creek, laura anthony, abc 7 news. president trump says there should be no mueller report. 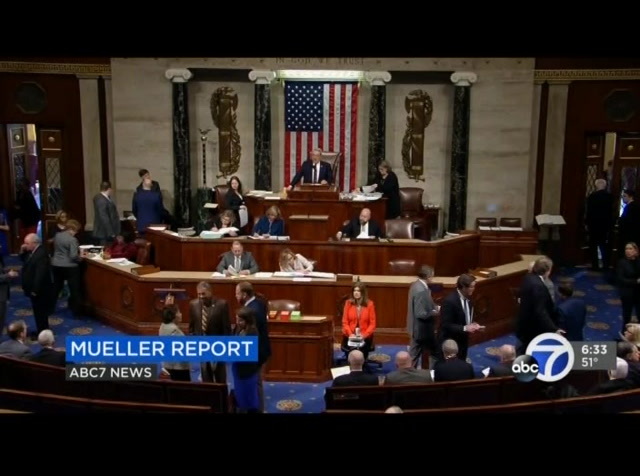 it comes just after the house voted overwhelmingly in favor of making the mueller report public for all to see. the battle is now putting more pressure on the attorney general. abc news senior congressional correspondent mary bruce is on capitol hill. >> reporter: less than 24 hours after nearly all house republicans joined democrats to send an overwhelming message, make the mueller report public, the president responding. tweeting the special counsel should never have been appointed and there should be no mueller report. after nearly two years of investigation, lawmakers say the american people deserve to see the results. >> the taxpayers paid millions for this information, and they should get to see all of it and not just the assessment of one person. 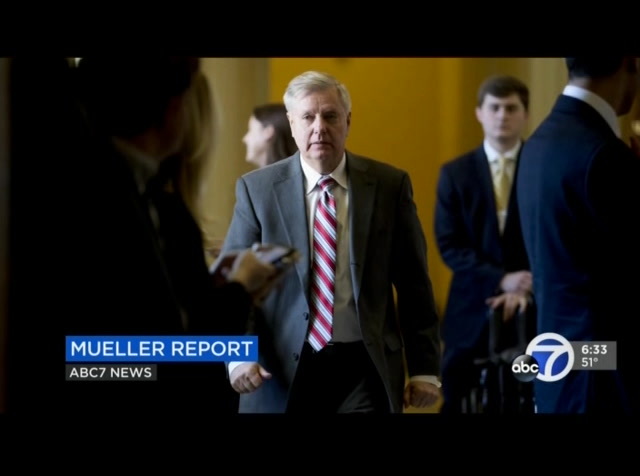 >> reporter: the measure was killed in the senate by one of the president's top allies, senator lindsey graham. ultimately what gets made public is up to the new attorney general, and he's promised transparency. >> i am going to make as much information available as i can, consistent with the rules and regulations that are part of the special counsel regulations. >> reporter: mary bruce, abc news, washington. happening today, the san francisco giants will host a special baseball game at oracle park. the game will be between paradise high school and corning union high school. it's free and open to the public. friends will get a limited edition paradise strong t shirt. the high school survived the camp fire that killed 85 people in november. the giants hope the experience will help lift the spirits of everyone in paradise as they rebuild. the first pitch is at 4:00 this afternoon. it looks like the raiders will be staying in oakland for at least one more season. 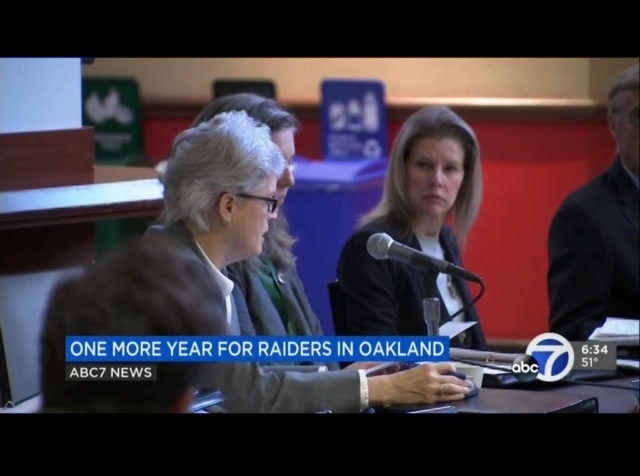 yesterday the oakland coliseum authority approved a one-year deal with an option for a second year. the rent will be going up by $4 million, plus the raiders will have to cough up $750,000 to settle a parking dispute. this ends months of drama after owner mark davis went looking for a new home after the city sued the team and the nfl over >> when mark davis took the deal off the table was, look, we understand you're probably not pleased about a lawsuit. but on the other hand, why don't you go ahead, go out and take a look at what else is out there. they went and did their window shopping and found out that what they had here was still a pretty good deal. >> the deal still needs approval of the oakland city council and alameda county supervisors before it becomes final. 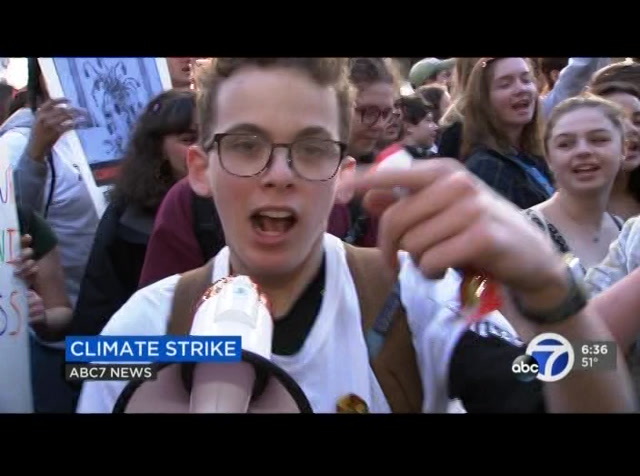 hundreds of students in the bay area ditched school yesterday to march for climate change. it was part of a worldwide effort demanding global leaders take action. abc 7's lyanne melendez was there. they have to listen to us if they want to remain in power. this is change happening right now. 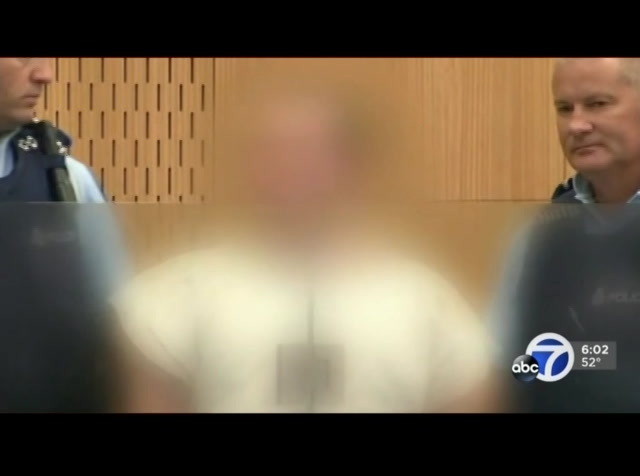 >> reporter: this was not an only in san francisco moment. students from 123 countries and more than 2,000 cities all over the world participated in these marches. their message was if you don't act like adults, we will. in san francisco, lyanne melendez, abc 7 news. happening today, don't be alarmed if you see some smoke in the east bay. 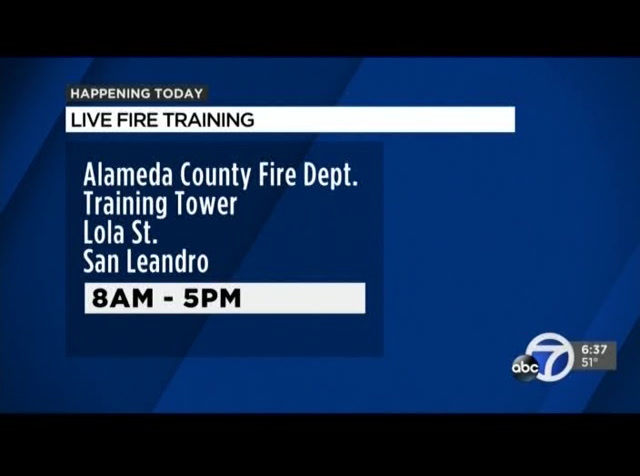 the fire technology program will conduct live fire training in san leandro from 8:00 until 5:00 today and tomorrow. officials say people in the area may see a column of black smoke near the intersection of davis and alvarado streets. it may also be visible from b.a.r.t. and interstate 880. you are asked to call 911 only if you see smoke and are unsure if it's coming from the training site. 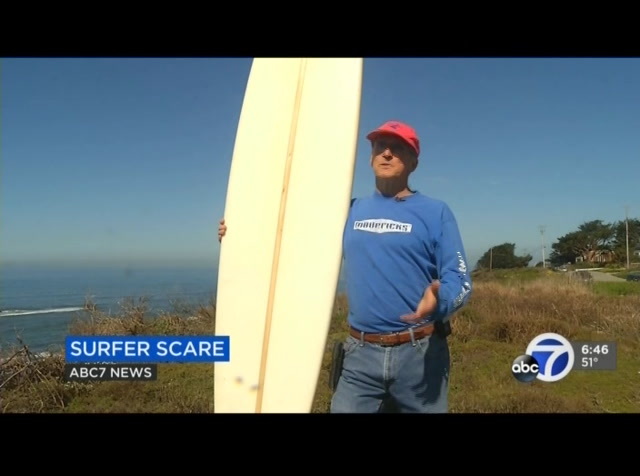 still ahead on abc 7 mornings, a 66-year-old surfer has reason to celebrate. >> that's the best feeling in the world. >> he tells abc 7 what it was like to suffer a heart attack while taking on mavericks near half moon bay. and here is a live look outside. you can see the bay bridge and city lit up. frances dinglasan will have your forecast and what you can expect once the sun comes up. i wanted more from my copd medicine... ...that's why i've got the power of 1-2-3 medicines with trelegy. the only fda-approved 3-in-1 copd treatment. ♪ trelegy. the power of 1-2-3 ♪ trelegy 1-2-3 trelegy with trelegy and the power of 1-2-3, i'm breathing better. trelegy works 3 ways to... ...open airways,... ...keep them open... ...and reduce inflammation... ...for 24 hours of better breathing. 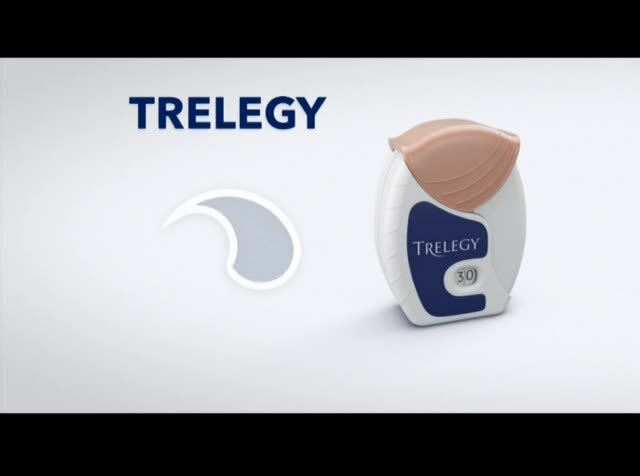 trelegy won't replace a rescue inhaler for sudden breathing problems. trelegy is not for asthma. tell your doctor if you have a heart condition or high blood pressure before taking it. do not take trelegy more than prescribed. 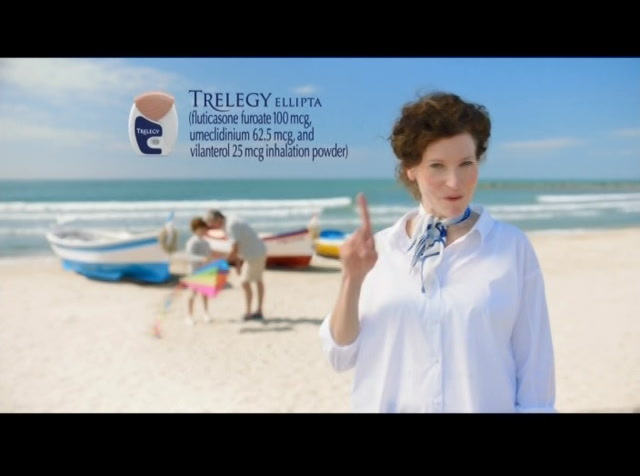 trelegy may increase your risk of thrush, pneumonia, and osteoporosis. call your doctor if worsened breathing, chest pain, mouth or tongue swelling,.. ...problems urinating, vision changes, or eye pain occur. think your copd medicine is doing enough? maybe you should think again. ask your doctor about once-daily trelegy and the power of 1-2-3. ♪ trelegy 1-2-3 save at trelegy.com. and you realize great minds shop alike? yes. or when you find those name-brand shoes that everyone notices? oh, yeah! or when you get exactly what you need for your growing family? yes! that's yes for less. yep! yes, yes, yes, yes... yes! 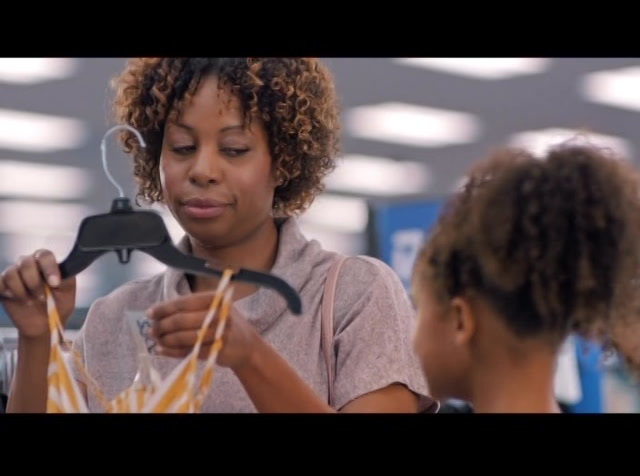 seriously, 20 to 60 percent off department store prices every day. at ross. yes for less. of course plenty of guinness. so good idea to take public transportation or a cab or lyft. the festival runs today and tomorrow from 10:00 a.m. until 5:00 p.m. frances, we've been talking about thit this morning. good weather for all these events this weekend. >> lots of sunshine for everyone, blue skies out there this afternoon. if you're heading to dubdublin,w 70s this afternoon. a pretty shot looking over the transamerica tower and san francisco. the warmup continues through the weekend, so i'll let you know where and when temperatures will hit the upper 70s. also next, steve kerr wants to see appropriate fear tonight. will the warriors bring the intensity? larry beil has a preview coming up in sports. to simone, i leave the van gogh. to harrison, the wine collection. to craig, this rock. the redwoods to the redheads. him for saving two fish'men who had capsized at mavericks 20 years ago. >> it still chokes me up, still to this day. >> reporter: a day he is fortunate to have. >> you know what, the sky is blue, i'm alive, i can wiggle my toes. there will be another wave. >> reporter: so what's next? christy plans to be back on his long board this summer and returning for his 29th mavericks season later this fall. 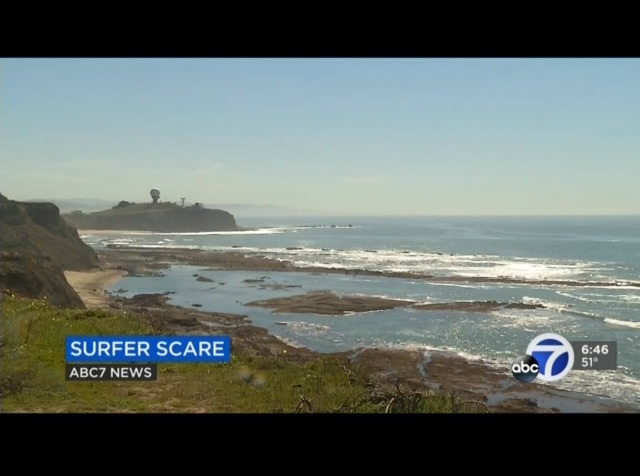 at moss beach, i'm dion lim, abc 7 news. meteorologist frances dinglasan joins us now with our very sunny accuweather forecast. frances. >> yeah, we've got a lot of blue skies up ahead. clear live doppler 7 showing us how quiet it is right now. we can expect some gorgeous weather ahead. in fact check out this gorgeous view of the east bay hills looking out towards mt. diablo. sunrise in just a short while, about 30 minutes. you can see how clear it is out there right now. in san francisco it's currently 49 degrees. oakland 46 as well as san jose. cooler in morgan hill at 40 degrees. and this time from the east bay we're looking west out towards the bay bridge in san francisco. you can see how calm the water is right now, so no winds. that's going to allow temperatures to climb this afternoon. it's also allowing some temperatures to drop in some of the cooler neighborhoods through parts of the north bay le san santa rosa 38, vacaville 38 as well. in the east bay in the interior valleys, lever more is currently 39 degrees. a pretty shot. it is going to be a beach day. in fact that's the case for the whole weekend. so sunny and above average temperatures this weekend. the warming trend continues all the way through monday. and then rain returns on tuesday. but at this point the system is looking very light and weak. so for all the folks headed to san francisco for the st. patrick's day parade today, you will probably not need a jacket after lunchtime. things start to climb into the 60s. upper 60s by 4:00. and then it cools down 8:00 tonight, dropping into the 50s. so definitely have your sunglasses and your sunscreen. 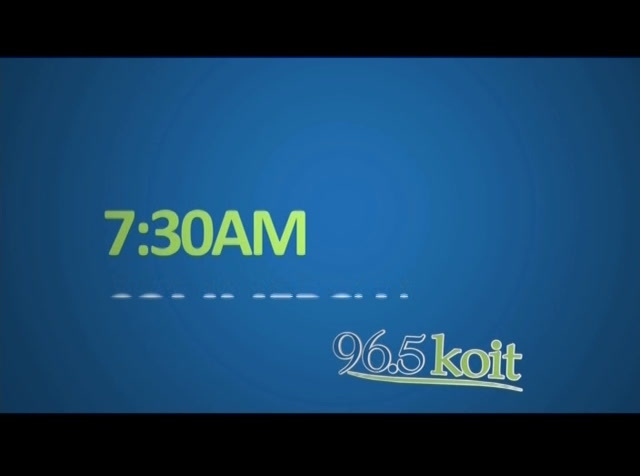 you will need it throughout the day for everywhere around the bay area. so san francisco warming up to 68. oakland 69. san jose in the lower 70s, like 71. even some low 70s through santa rosa and napa. 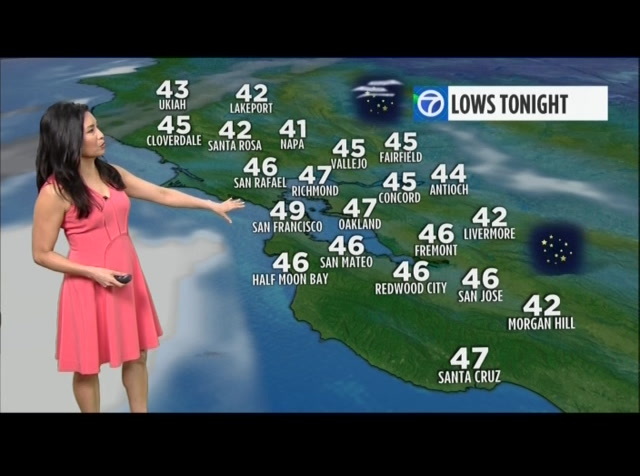 tonight temperatures will cool down overnight. tomorrow morning look for 40s. 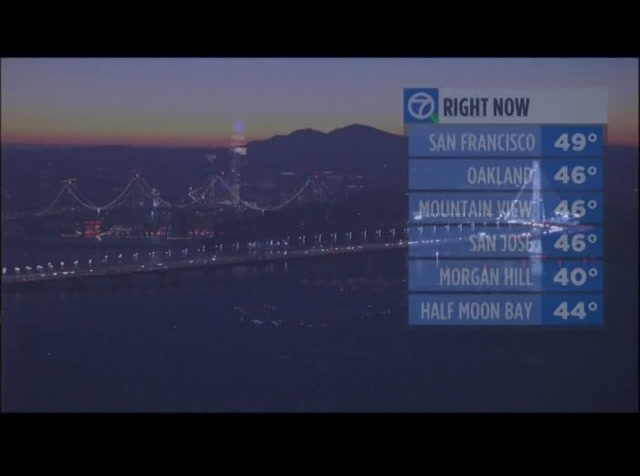 in san francisco, that will be one of the milder spots, 49 tomorrow morning. santa rosa and napa, cooler in livermore in the low 40s. in san jose 46. we'll start to see clouds nudge back in tomorrow but temperatures will be climbing. 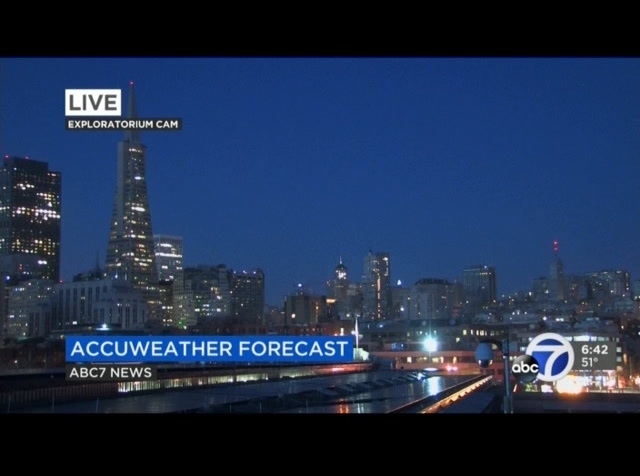 i just want to show you another pretty view as we look out from our roof camera towards the exploratorium. you see how gorgeous it is out there and the flag is not blowing at all because the winds are so light. now, tree pollen is climbing, unfortunately, for people suffering from allergies. right now it's moderate, i think it will be high very soon. mold exposure low, uv index is high. here's a look at the week ahead. you can imagine how warm it's going to be. so san jose in the next couple days, it's going to be climbing up a few degrees. by monday it will be close to 10 degrees above average, 78. and then a system moves in on tuesday bringing us a chance of rain in the afternoon, lingering into wednesday. in fact we have a little unsettled weather through the rest of the week. so here's the accuweather seven-day forecast. enjoy the spring-like temperatures today. the luck of the irish tomorrow brings our temperatures up another couple degrees. and then the warmth peaks on monday. upper 70s inland, mid-70s around the bay. at the coast upper 60s. so we have some light rain returning on tuesday afternoon. we're talking very light, a few hundredths of an inch. we could see a few spring sprinkles for the start of spring on wednesday. right here on abc 7. kevin durant listed as questionable with an ankle injury but he did practice yesterday. warriors got a great game from boogie cousins. they were aggressive. that's what steve kerr would like to see in the final 15 games of the regular season. >> i think our guys enjoy a tough environment on the road. we tend to play our best when we're threatened and when people question us and even when we question ourselves. a couple of days there, come on, we've got to get things going. hopefully we maintain that level of appropriate fear. >> a reminder we'll be live with the very first broadcast from the chase center right after the warriors/thunder game. all the highlights and a tour of the new arena, which is still under construction. 8:00 or thereabouts from the future home of the warriors. college hoops, acc semis. duke and north carolina, zion williamson, as good a game as you might expect. 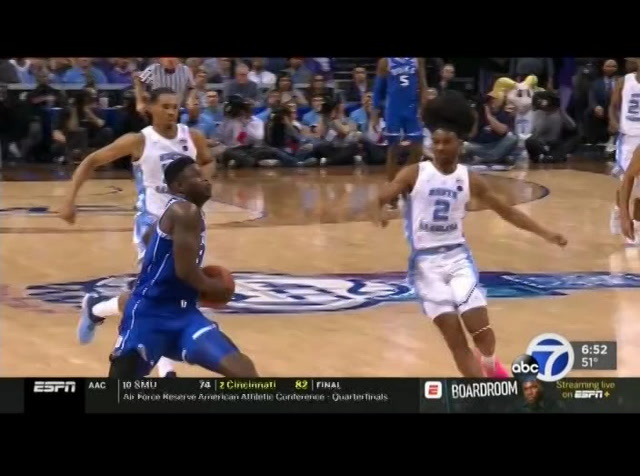 second half, zion steal and with authority. 6'7", like 280, 285. what an athlete. 48 seconds to go, carolina down one. we're calling this a pass to nasir white. tar heels take the lead. 30 seconds left. check out zion. crossover, spin move, follow your own shot. tips it back. he had 31. duke up one. last chance for carolina. koby white trying to create. fade-away, no. tip, no. duke wins 74-73. they'll face florida state in the acc championship game tonight. spring training action, phillies and bluejays, near disaster for the $330 million man, bryce harper. look out. hit square in the ankle by a fastball. did walk off the field. that was the first good sign. x-rays reveal it was merely a bruise and not a broken ankle. the phillies say they are not overly concerned at this point. reminder, warriors/okc right here 5:30 on abc 7. have a great weekend, everybody. 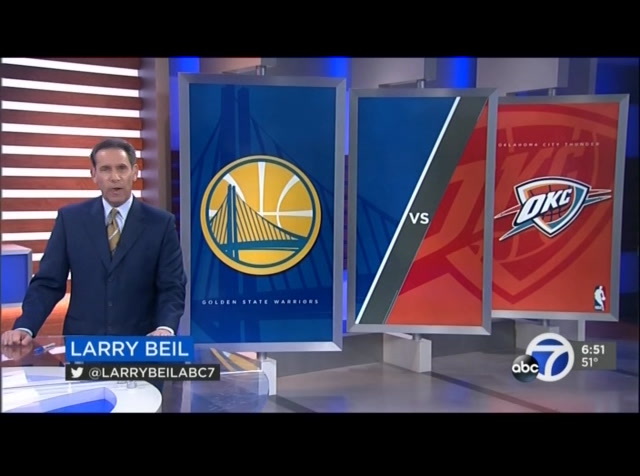 i'm larry beil. next, many people will be hoping they have the luck of the irish this suspected weekend. 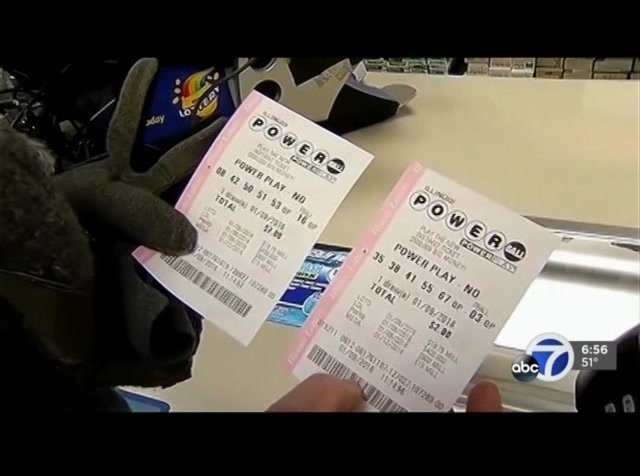 the huge powerball jackpot up for grabs tonight coming up. you might or joints.hing for your heart... but do you take something for your brain. with an ingredient originally discovered in jellyfish, prevagen has been shown in clinical trials to improve short-term memory. prevagen. healthier brain. better life. noveat a-a-r-p, we'reonal all about hikes. and other things to keep you healthy. it's why we offer health tips for your body, and your brain. today is your day to make fitness happen. and a-a-r-p is here to help you take on today. seaonly abreva cany to help sget rid of it in... ...as little as 2 1/2 days when used at the first sign. abreva starts to work immediately to block the virus and protect healthy cells. abreva acts on it. so you can too. that's an aggressive yellow. pretty great, huh? if you're a banana. i find it very... appealing. kellogg's raisin bran with bananas. two scoops meet real banana slices. i've done a good job of raisin ya. all right, tonight half a billion dollars is up for grabs. you never cease to amaze me, maya. see how investing with a j.p. morgan advisor can help you. visit your local chase branch.